Community as Nourishing Food | The Equine Connection Coaching Services Ltd.
We have had a winter of nourishing community here at The Equine Connection. At the end of September, Zabrina moved onto the property with Hektor, her colouful guard cat. (Kaleb had joined us at the start of August. He came first to make sure this was a safe place for his mom to live.) Also, at the end of September, Rebecca and Florian came to visit after months of travelling around BC. The couple are from Germany and had worked for us in the Spring of 2017. They ended up moving into the Stables for the winter so that Rebecca would not freeze as a consequence of her first Canadian winter. Also, right on the other side of the property line are Odin and Hailey, whose chickens and bees have claimed the acreage as part of their territory. In November, Makita the kitten joined us. Then, in January, Kathleen decided retirement was over-rated, and started working out of one of my counselling offices one day a week. So, after being empty nest parents for the last four years, Christiaan and I all of a sudden have a vibrant community of like-minded people surrounding us. While neither Christiaan, nor I, are particularly social, we have both enjoyed and grown from the presence of our new community. This is because the community acts as a mirror for us. The new people in our world are a fit for us. Christiaan is visibly happier with the added European presence. He now has someone, Rebecca, to tease about her ‘special’ pronunciation of the English language. (He has conveniently forgotten he speaks the language quite uniquely himself!) He also has other technically inclined people to banter with about design and mathematics – something he certainly does not get from me! The horses have received more than usual. Rebecca has been doing regular groundwork with Sweetie Pie, and is helping her negotiate adolescence. She has even sat on Pie’s back! Joey has squeezed into both Rebecca and Florians’ hearts, and been lavished with love – his favourite kind of attention. He also received Zabrina’s magic one evening when he had a mild colic episode, being held by her hands as she supported his health with biodynamic cranial sacral treatment. We now all enjoy a wood heated sauna twice a week because Odin planted the seed of the importance of a sauna. Christiaan and Florian had it built in a week. Through Odin’s social network, we found a wood stove that Christiaan could pick up with the tractor because it was so close by. At our weekly Sunday pancake breakfast, Odin shared a jar of homemade maple-walnut syrup produced by two of our trees he tapped. Zabrina has been visited by Bandit in her dreams, which allowed him to get the support he needed immediately. We all enjoy regular bodywork treatments right here on the property now that Zabrina has her treatment room here. Just like we all enjoy dinners together. And, now Zaza has two other felines to relate to. Hektor he mostly talks to through the glass door of Zabrina’s place, while Makita travels in and out of all the homes on the property. The way Hektor and Zaza care for, and play with Makita is the essence of nourishing community. I am continually watching how the horses demonstrate nourishing community. They do this by being themselves. The unique aspects of their personalities are expressed in their relationships with one another. They do not hide parts of themselves that are less enjoyable. For instance, Spicy is again doing her signature two legged, very forceful, hind-end kicking when in the arena with the herd. Cara and I have had to take her out of the arena, or tie her to the fence-line. Instead of ostracizing her for her aggressive expression, Vienna or Chunky simply go and stand with her, holding her in a loving energy. They know that she is a teenager still negotiating her personal power, still learning how to be in relationship cooperatively. The herd understands that each horse’s individuality is what makes the herd complete. They know that the purpose of living is to express your uniqueness. If each of our special ways of being in the world was not important, we would be robots, not living creatures. It is not that every horse loves everything about each of their herd mates. Kara does not flirt with Bandit. She kisses and cuddles with Kaleb. Landor does not play with Vienna. He wrestles with Chunky and Joey. We do not have to be best friends with everyone in our community. What is essential is that we make space for the expression of each individual’s whole person. The only non-negotiable boundaries are related to life threatening behaviours. Obviously without such boundaries there isn’t space for anyone’s being. 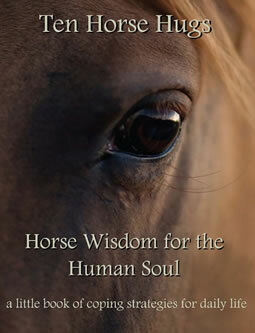 This is one of my favourite teachings of the horses – be yourself. Do what you want. Express yourself without editing according to the company you are in. By being yourself in the company of others you make a contribution to a rich community experience. And, yes, you need to find the community that feels good to you. Your ‘tribe’ will create relaxing and expansive body sensations within you. Listen to your body, and it will tell you which community is yours. Do not settle for company that leads to you feeling tense and uncomfortable when with others. 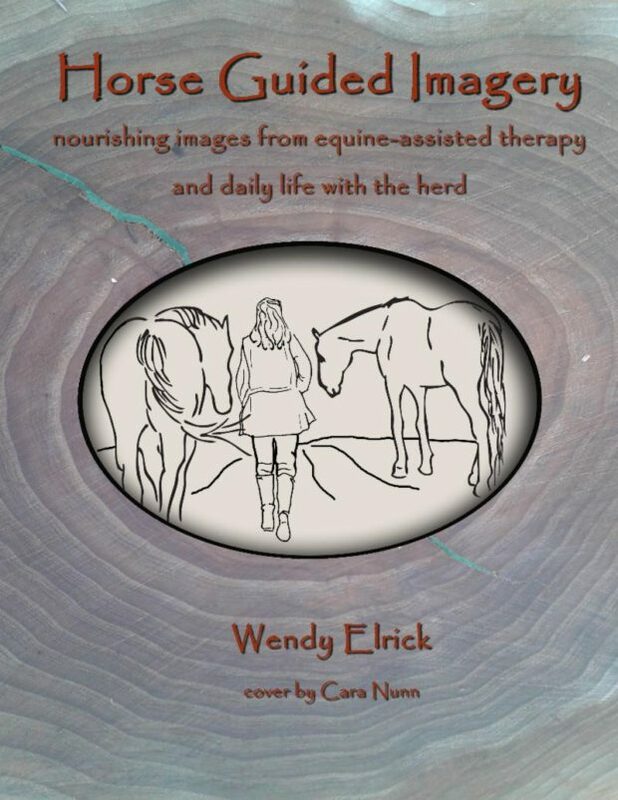 If you want a reference for how your body feels in the community that is intrinsically yours, hang out with Mother Nature or with a herd of horses!